Abstract: Fiber nonlinearity is often the limiting factor in long distance optical fiber communications. Four-dimensional constant modulus modulation (i.e., the sum of x- and y-polarization power is constant) reduces the fiber nonlinearity effects significantly. In addition, high-dimensional modulation (>=4D) typically improves the signal to noise ratio characteristics. In this talk, we review our newly proposed 4D-2A8PSK format family which covers the range of 5-7 bits/symbol spectral efficiency and fills the gap of dual polarization (DP)-QPSK (4 bits/symbol) and DP-16QAM (8 bits/symbol) through sets of optical transmission simulations. We also show time-domain hybrid modulation using these 4D-2A8PSK formats to cover the whole 4-8 bits/symbol range. Discussions on practical implementations, as well as experimental results will be also presented. Biography: Keisuke Kojima received the B.S., M.S., and Ph.D. degrees in electrical engineering all from the University of Tokyo, Tokyo, Japan. He also received the M.S. degree from the University of California, Berkeley. He worked for eight years at Mitsubishi Electric Corp., Japan, from 1983 on the research of narrow linewidth DFB lasers and grating-coupled surface-emitting DFB/DBR lasers. He spent nine years at AT&T/Lucent Bell Laboratories on the R&D of uncooled Fabry-Perot and DFB lasers, vertical-cavity surface-emitting lasers, and passive optical network systems. He also worked at Agere Systems, Denselight Semiconductors, and TriQuint Semiconductors on optical devices and modules designs. 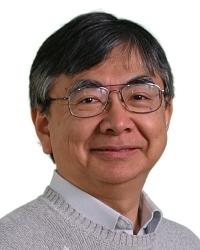 He has been with Mitsubishi Electric Research Laboratories, Cambridge, MA, since 2005, where he is currently working on the research of coherent optical systems and photonic-integrated circuits as a Senior Principal Research Scientist. He has more than 170 publications in journals and conference proceedings. He is a Fellow of the Optical Society of America.